Providing guided fishing trips for groups and individuals on the White River or North Fork River. Located in the Arkansas Ozark Mountains near Mountain Home, Arkansas. Jon Miller is a professional trout fishing guide who, among his peers, is considered one of the top trout fishing guides on the White river. He has over 25 years of experience fishing the tailwaters of the White and North Fork Rivers. Jon is respected as big trout guide. He was given the Master Angler Award by In Fisherman magazine for the catch and release of a 33-inch German Brown trout. During trout fishing tournaments he finishes in the money. Jon offers guided fishing trips with artificial, light tackle, or bait, in short any legal method! It's your choice. Fly fishing guides are available. In addition to trout fishing on the White and North Fork rivers, Jon also conducts guided lake fishing trips on both Bull Shoals Lake and Norfork Lake. Fish for trout one day, then fish for walleye, bass, and crappie the next day! Jon fishes the upper and lower White River and the North Fork river. 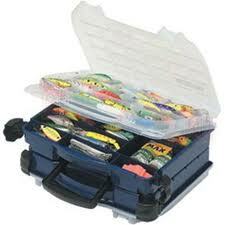 He puts in where fishing will be best that day for his customer's desired fishing experience. Jon knows these rivers have rapidly changing water levels that can affect how a boat must be handled. When high water conditions occur, swift currents must be handled with skill. Low water conditions need a watchful eye to dodge rocks and other snags. While customers are fighting fish a good guide will keep the boat properly positioned, especially in strong currents. Jon does not fish, he handles the boat and attends to customer needs. Jon's Guide Service has an excellent combination of equipment tailored to give you a fishing trip you'll remember for a lifetime! All boats and equipment are modern, clean, and in good repair. When you fish with Jon personally, you'll fish from a brand new 2012 model Top Water Jon Boat with an aerated livewell. This popular Top Water Boat model is engineered and designed specifically for tailwater trout fishing. Removable swivel seats make it easier to walk through the boat. And women are welcome too. It's not unusual for the women to catch the biggest trout" of the day. Children are welcome! I enjoy helping them make nice catches like this one. An early spring 10.5 lb brown caught on a shad. This 5-1/2 lb. rainbow put up a good fight & was released to fight another day! Scotty's 5 lb. brown. What a beauty! Caught on a worm this 9.2 healthy brown was full of fight. All full day trips include sack lunch, bait, tackle, Ice, & pop. Reservations Policy: A deposit of $75 per boat per day is required. A 30 day notice prior to your booking date is required in order to receive a refund. Fried onions and potatoes, private recipe river beans, bacon sandwiches, trout fried in bacon fat, and soda - that's what's cookin' at Jon's! At noon we'll pull up on the bank for a rest and a good old-fashioned river shore lunch put on in grand White River tradition. All you need do is pull up a chair and relax while we do the work. The pleasure is all ours! It's remarkable how quickly children learn to trout fish! Jon taught his own daughter Kelly, (now all grown up photo right) how to fish. Kelly still remembers how her dad patiently taught her to cast. Kelly now wades about the river casting and catching trout like a pro! Jon enjoys families with kids and always welcomes the opportunity to educate children on the finer points of trout fishing. So if you or your group want to include children in your float trip experience, they are most welcome! Jon's has conducted group guided float trips for many years. We understand how to coordinate the numerous little details needed for a smooth group trip. We provide tackle, shore lunches, transportation, and guides in our group plans. We have found over the years that the best way to plan a great group trip experience is for you to just call us. Tell us what you'd like to experience. Once we know your needs we'll put together a trip customized just for you. If it takes more than one call, that's fine! We'll help you as much as you require in organizing your trips. At end of day you'll discover you'll get more for your money with Jon's! Jon fishes high and low water conditions and does both efficiently and safely. Safety is ALWAYS the top priority with Jon's! Safe casting, proper river navigation, weather considerations, and proper river wading technique are all part of the many aspects of making your trip a safe and comfortable experience. We are insured and licensed. Jon practices a professional code of ethics which he believes best preserves the fishery and the fishing experience. As a service to our customers, Jon's Guide Service will arrange your accommodations at no extra charge. Why bother yourself with the time and expense of locating lodging for your trip? You have enough to do! Let us set you up at some of the best lodging available in the area. If you prefer a fishing lodge, bed and breakfast, resort, or hotel, we will do all the leg work to get you what you are looking for. Our goal is not only to provide you with quality fishing, but to improve your total fishing trip experience. For more information, or to set up a guided trout fishing trip, please call or e-mail me today. I'd love to be your guide!